Get Miley Cyrus Malibu Sheet Music, Piano Notes, Chords and start playing in no time. 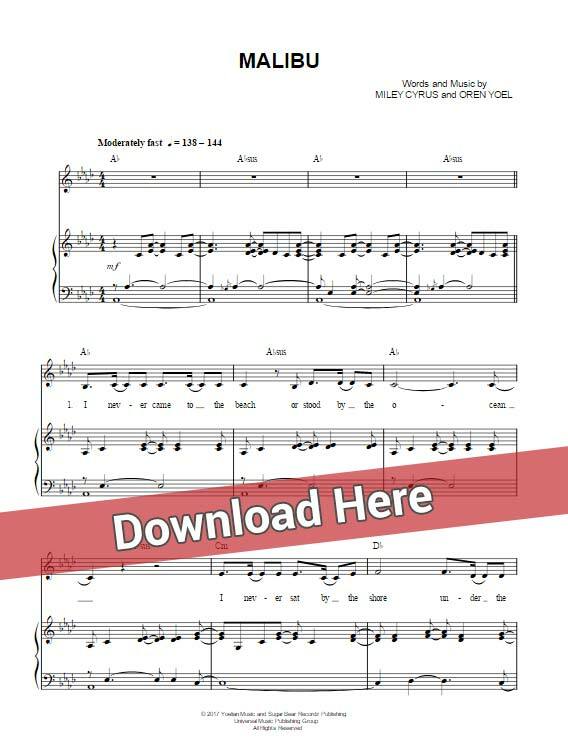 Download or print the score, watch free video tutorial lesson. This is a brand new single released by a young and talented “Wrecking Ball” singer. This score includes 8 pages and was composed along with Oren yoel. It has been arranged for keyboard, vocals and guitar.